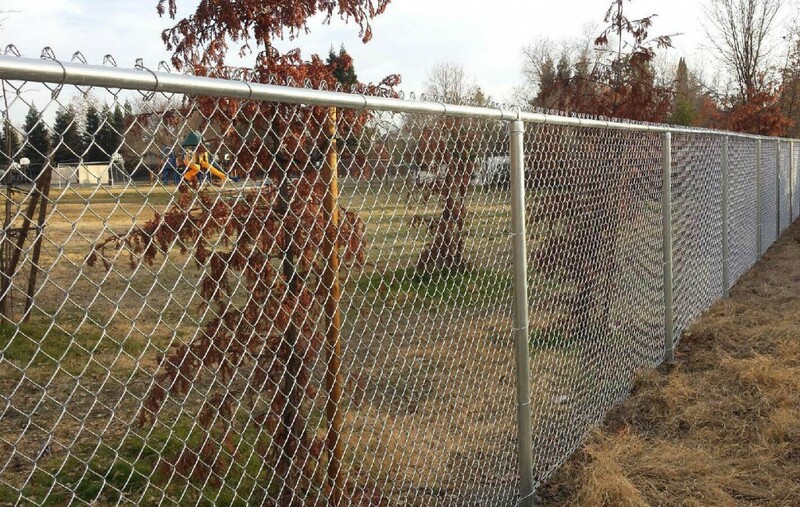 Will chain link fencing around the elementary schools make them safer? Like every other school district in America, the TE School District began talking about school security after the Sandy Hook Elementary School tragedy where a gunman killed 26 people, including 20 children. If you recall, the School Board hired former Tredyffrin Township Police Chief Andy Chambers as the District’s safety consultant. The School Board announced the formation of a District Safety Committee; members to include Chambers, District staff and residents. The District Safety Coordinator is Conestoga High School Assistant Principal Andy Phillips. Other than Chambers and Phillips, I am not certain who else is on the District Safety Committee and I could not find the information on the school district website. Sandy Hook and other shootings have pushed the issue of school security into the limelight … we all want our kids to be safe. One of the security upgrades recommended by the Safety Committee to the Facilities Committee is the construction of 5-foot high chain link fencing around each of the District’s five elementary schools – Beaumont, New Eagle, Valley Forge, Hillside and Devon. The Facilities Committee acted on the Safety Committee’s recommendation sending out request for proposals for the fence construction. The capital project contract for site fencing at the elementary schools was approved by the school board on February 24, 2014 and the contract was awarded to the low bidder New Holland Chain Link, LLC for $220K. I have received emails and phone calls from parents and neighbors associated with New Eagle, Valley Forge and Hillside schools, all opposing the school board’s decision to construct the chain link fencing. And the TE School District planned fencing project was on the local ABC Philadelphia news last week with residents explaining their opposition. I have to say that other than the school board, I have not heard anyone speak in favor of the 5-foot chain link fencing. The planned fencing will make it more difficult for children to evacuate in emergencies. Concern that children could be trapped inside the school property because of the fencing and that the fencing could hamper emergency aid from entering the school property. A limited number of gates in the fencing are planned making it difficult for children, teachers and staff to exit during emergencies. Gates are to be placed in the fencing only where walks now exist. The fencing is on three sides of the property but full access on the front. Residents are required to obtain a building permit for fences in Tredyffrin Township, did the District file the necessary forms? Five foot high fencing is not a deterrent, especially given it is only on three sides. The fencing gives an institutional appears to the schools. Inconvenience, children who have safely walked to school will now (in some cases) be forced to take the bus because of the fencing. Complaints about the aesthetics, especially given that the elementary schools are located in residential areas; citing other school districts that have used wrought iron fencing (rather than chain link) so that it blends with the neighborhood. Aside from aesthetics and inconvenience that the fencing may cause to residents, the real question that we need to have answered is, “Will the chain link fencing make the schools safer?” Rather than simply stating that the Safety Committee recommends the 5-foot high chain link fencing, did the school board receive background and research to support the committee’s position? An update on the elementary school fencing project will be provided at on Friday, June 13, 2 PM, TE Administration Building at the Facilities Committee meeting. According to the agenda online, the District’s architect Tom Daley of Daley & Jalboot will present the update on the fencing project. The school board approved the fencing the five elementary schools and signed a $220K contract for this capital project. Now the question is, will the residents have a voice in this decision or will the Board stand behind their decision? In my last blog post, I indicated there would be a follow-up post on TENIG and discussion of outsourcing. TENIG President Dave Fillippo delivered an emotional statement at Monday night’s TESD Budget Workshop on the eve of his TESD retirement this Friday. His statement, in its entirety, follows this post. Much troubles me about the idea of outsourcing of the non-instructional employees of the District, especially at this time. Excluding the District’s administrators and teachers, TENIG members are the secretaries, custodians, maintenance workers, kitchen staff and security personnel. Although aides and paraeducators are not members of TENIG, their jobs are also on the outsourcing ‘chopping block’ as budget impact items under consideration. The Budget Workshop presentation only included two budget impact items for the Board to consider – (1) the outsourcing of TENIG staff and (2) the outsourcing of aides and paraeducators. The Board has given the required 120-day written notice of their intention to issue an RFP to seek outsourcing bids for TENIG and the aides and paraeducators. In the wake of the Sandy Hook tragedy, we know that the Board has increased the District budget for safety. They approved $250K for ‘district security enhancements’ and hired former Tredyffrin Township police chief Andy Chambers as a security expert, in an effort to make the school buildings more secure and to protect the students and staff. From a security standpoint, how then can it possibly make sense to dismiss long-serving members of the T/E school district community in lieu of strangers that do not know our schools or our children? Those employees whose jobs are under consideration for outsourcing, are highly trained, dedicated and caring professionals with roots in our community; the majority live in the T/E School District. These are the people who the community knows and trusts. How could it make sense to replace them with high turnover, sub-standard inexperienced workers? There is no doubt in my mind that the quality of workers (and probably the productivity) will diminish with the largest percentage of new workers coming from outside the District. Should outsourcing occur, the District will not only lose local, dedicated employees, but we also lose the community pride and spirit that comes with people working in the schools that ‘they’ attended, and that their children attended. In these tight budget times, the custodians, secretaries, maintenance workers, kitchen staff and aides all become a target for outsourcing. By privatizing the jobs, the District hands over important public service jobs to huge, private corporations who pay their employees lower wages. When private companies take over, they do away with as many full-time positions as they can and hire part-time workers at the lowest wages possible, so that do not have to offer basic health care benefits. Outsourcing is not non-profit. Outsourcing companies only exist for one reason – to make money. The profit margin is key to the success of outsourcing companies and they will always act in their own self-interest. As a result, our students, their parents and our community will come ‘second’ to the financial driver of outsourcing companies … profit. Saving the District money may be the endgame of outsourcing, but with that decision should be the acceptance that our children are nothing more than a “commodity for profit” to an outsourcing company. Beyond this discussion of outsourcing, something else occurred on Monday night that troubled me. At the end of the meeting, there was opportunity for resident comment. It was at this point that Dave Fillippo delivered his emotional statement (see below). As President of TENIG, Dave was speaking out on behalf of the union against outsourcing of the members’ jobs. However, his statement was also his “swansong’, his good-bye to the Board and to the staff. Having served the District for 32 years, Dave retires this Friday – as a result, his words delivered with emotion and pride for a community and a career that he loves. Upon finishing his statement, I found it incredulous that Board President Kevin Buraks offered no words of appreciation or thank you for a “job well done’ to Mr. Fillippo. Sure, for those 32 years, Dave was ‘doing his job’ for the District, but does that make him any less deserving of gratitude for doing it. Acknowledging years of service is important, not only to the one retiring but also to show that the Board and administration cares about its staff. I know I am on my soapbox on this one, but saying thank you to people and letting them know that they are appreciated is important. If we do not acknowledge our thanks, I think we lose a human moment, a human connection. So, in what I hope was an oversight on Mr. Buraks and the School Board’s part, I want to wish Dave Fillippo all the best as he begins a new chapter in his life. And to thank Dave for his 32 years of dedicated service to the Tredyffrin Easttown School District and for the contributions he made to the community. Thank You! Community and friends, Dr. Waters, Sue Tiede, members of the Board, principals, teachers and colleagues that have made my career here at TE so special. My association with this school district started at kindergarten at Paoli Elementary School through graduation at Conestoga, and eventually employment in the maintenance department in 1980. I have never lived a day of my 60-plus years outside of residence in Tredyffrin Township. TE is my home and always will be. I have loved working here in the community, no regrets, even though I was mocked at times, by friends and contractors who made millions while I, in comparison worked for a meager hourly wage. Today, I have a deep concern that in the future, others like myself, that are gifted with a servants heart will not be able to earn a sustainable wage here, in our community. For the last two years, I have listened to the “Success and Sustainability” speeches here from the Board. A campaign destined in part on devaluing the employees of TENIG. Knowing that indeed the members of TENIG in fact are much of the reason for this District’s success and sustainability. TENIG harbors a wonderful culture that provides security and safety to our children, maintenance of our schools and communities infrastructure, far beyond that of any contract service. TENIG offers the District workers who are members of the community, who have a stake in the community. ‘True Community’ one may say. My vision of TENIG is one of servant leadership, employees who have a stake in the growth of our community, who are approachable, willing to make sacrifices as we have done, time and time again. Question is why then would you [the Board] want to turn the services overs to profiteers? Knowing that TENIG has always been responsible and yielding to the financial circumstances of the times. Are we to be the scapegoats to remedy the mistakes of previous Board decisions? TENIG is not at fault here. We have been here doing our job and wish to continue to do so. Our custodians have conceded more than anyone, with the wavering of wage increases for 2 years, and taking a 10 percent wage cut. Secretaries work an unpaid lunch while sitting at their desks, often coming in early, clocking in at their scheduled tie, clocking out at quitting time, only to return back to work to finish their day; unpaid for the extra hours. Yielding to the workload that has evolved with the condensing of assigned duties. Yet, I seldom hear them complain, they are here for the kids, our teachers and community. Our food service cooks, preparers, servers and cashiers provide quality lunches to our students and staff at affordable prices and in fact pay for their own operation and show a profit. Maintenance has answered every emergency in a timely fashion, once again to provide safety to our students and residents, even with the disruption of moving from our original facility, then to ESC, to scattered closets and storage spaces, and now to the old transportation garage. We did not allow the constant changes to break our commitment and spirit of service. TENIG is here to serve its community; we offer outstanding in-house service, with responsibility to the children, parents, and taxpayers of Tredyffrin and Easttown Townships. You will not find this dedication in a for-profit contract service. In retirement, as of this coming Friday, I will not be going anywhere. I intend to be a vital part of the negotiations with the Board and community along with new TENIG President Mary Minicozzi, Vice President John Brooks, Treasurer Gwen Durante and Secretary Jen Doyle. TENIG has an excellent leadership staff here that is sensitive to the needs and concerns of our District and is eager to share our ideas with those members of the School Board assigned to the negotiations. Adoption of the 2013-14 TESD preliminary budget: By a unanimous vote the Board approved a resolution not to raise taxes above the Act 1 Index level of 1.7%. Reconsideration of District Safety Consultant, Andy Chambers: Former police chief Andy Chambers attended the TESD meeting last night. Chambers offered no comment; however Superintendent Waters defended his choice in Chambers, offering a list of his qualifications, and firmly stating that the hiring was not cronyism as some in the public had suggested. TESD solicitor Ken Roos stated that he was of the opinion that the Board had not violated the Sunshine Act with the consent agenda approval of January 7 to hire Chambers. However, Roos recommended the ‘reconsideration’ of Chambers so as to avoid possible legal costs to the District, if the Board’s January 7 action was legally pursued. There was no mention from Waters, Roos or the Board members with regards to the issues surrounding Chambers departure from the Tredyffrin Twp Police Department. A few residents spoke in favor of hiring Chambers with only one resident asking about the “two sides of the story”, referring to the Finance Committee meeting and the dialogue between myself and Chambers and Kevin Buraks. Although all members of the Board supported Chambers as qualified to serve as District Safety Consultant, two Directors voted against his hiring. Using the lack of transparency in the process as reason, Anne Crowley and Rich Brake did not vote with their fellow board members to hire Chambers. Crowley read a prepared statement, saying that although Chambers’ was qualified; she spoke of the need for transparency and that other candidates (besides Chambers) should have been reviewed in the process. Chambers was approved as District Safety Consultant 7-2. Consent agreement and the inclusion of the Supervisory, Confidential and Administrator Compensation Plan, Compensation Adjustments for 2013-14 and One-Time Bonus: Ray Clarke asked if these items could be separated from the consent agenda for Board and public discussion. Board President Kevin Buraks response to Ray was that the discussion of these items could occur after the consent agenda approval. Buraks took the vote to approve the consent agenda without discussion. The Board voted to approve the consent agenda with the exception of two members. Although voting with their Board members on the rest of the consent agenda, Crowley and Brake excluded their approval of the compensation plan , adjustment and bonus (#C2 and #C3), again using transparency in the process as the reason. Following the consent agenda approval, Waters explained the compensation plan and budget impact. Unfortunately, at this point it was 11 PM, and I did not understand his explanation of the specifics of the costs. (If anyone has the details, please offer them as a comment.) Again on the defensive, Water defended the compensation plan, etc. listed as a consent agenda item – stating that this is the way it has been done for 10 years. My response is – does that therefore make it right? I have previously stated that the purpose of the consent agenda is for routine items (such as meeting minutes or financial reports) and I do not view a multi-year compensation plan and bonus as routine. The other noteworthy item of the evening, occurred during Waters’ explanation of the compensation plan and budget impact — Waters announced his retirement at the end of the 2014/15 school year, explaining that he wanted to have the compensation plan in place for his successor. For the record, between Waters and Roos talking about ‘blogs’ and ‘blog comments’ and the presence of Andy Chambers at the meeting, I found the meeting more than a little intimidating. Although Community Matters was never mentioned ‘by name’, the continual reference to the blogosphere was not lost on me. It’s important that the public‘s business be done in public, so that we can be fully informed. When the right to public discussion is removed, it becomes our responsibility to speak out … our ‘collective voices’ are important. An easy cure for lack of transparency is full visibility. Included for priority discussion at Monday’s TESD meeting is the reconsideration of a District Safety Consultant and the hiring of Andy Chambers for the position. The hiring of Chambers was previously included in the January 7 TESD meeting on the consent agenda but was not originally listed on the meeting agenda. Without proper notice on an agenda, the public is deprived of its right to be present and to know when decisions affecting the public are being made. have served in the schools in recent weeks. The purpose of a consent agenda is to group routine, noncontroversial items together to be voted on under one motion. Items on the consent agenda should be routine items that board members don’t need any further information on prior to voting. The purpose of a consent agenda should not be used to hide important issues or stifle discussion. Who is reviewing the TESD meeting agendas? For the January 7 TESD meeting, there was no mention made of anything related to ‘safety’ listed on the agenda, yet the hiring of Andy Chambers as the District Safety Consultant is added last-minute to the consent agenda. Now a couple of weeks later at the next Board meeting, we have administrator compensation and bonuses listed as routine consent agenda items. Again, … who is reviewing these meeting agendas? Of the 141-page agenda, 40 pages are devoted to the compensation plan for supervisory and confidential employees and administrators and their one-time January 2013 bonuses. To include the approval of non-bargaining administrator salaries, benefits and their bonuses in a consent agenda can hardly be considered ‘routine’! The Sunshine Act, no more than the discussion to outsource the custodians or aides as a cost-savings budget strategy, does not protect the discussion of administrator compensation and bonuses. The School Board and Finance Committee meetings have repeatedly discussed various budget strategies including increasing class size, student activities fees, possible further cuts to educational programming and recently the decision to review non-profits’ use of real property for qualified tax exempt status. To my knowledge (someone please correct me if I’m wrong), there has never been any public discussion of a (1) supervisory and confidential employee compensation plan, (2) compensation adjustment for 2013-14 or (3) one-time January 2013 bonuses. So now, the matter just appears on the consent agenda for approval. How is this possible? January 2013 – July 1, 2013 a one-time bonus will be awarded to each employee based upon the Superintendent’s recommendation. On July 1, 2013 adjustment to base for selected employees shall be recommended by the Superintendent. For each of the academic years beginning July 1, 2014 and through to June 30, 2016, 1.7% of the total salaries of this group, from the prior year, will be available in a pool for the Superintendent to distribute, at his discretion and with Board approval, as base salary increases. Specific percentage increases will vary among members of the group. In June of each year, beginning in June 2014, a 1% one-time bonus will be awarded each individual for the previous year’s service. In January 2013, each administrator shall receive a one time bonus for service in the previous two and half years as approved by the Board at its January 28, 2013 regular meeting. In addition, adjustments to base salary for the previous two and a half years will be approved by the Board at its January 28, 2013 regular meeting. For each of the academic years beginning July 1, 2013 and through to June 30, 2017, 1.7% of the total salaries of this group, from the prior year, will be available in a pool for the Superintendent to distribute, at his discretion and with Board approval, as base salary increases; specific percentage increase will vary for any one individual. Beginning in June 2014, and continuing annually in June of each year, a one time bonus of 1% of the individual’s salary will be awarded to each administrator for service in the previous year. When did the School Board discuss the compensation plan and bonuses, or are they seeing this for the first time as a consent agenda item? Where was the public discussion about the administrator compensation plan? Where was the public discussion about supervisory and confidential employees receiving a one-time bonus? And it’s to be paid this month! What is the budget impact of the increased compensation? What is the value of the one-time bonus? What does the ‘adjustments to the base salary for the last 2-1/2 years’ mean? Is the salary increase to the administrators retroactive? The financial distribution to administrators is at the discretion of Dan Waters? How is it that something so important as this compensation and bonus plan can just get thrown in on a consent agenda without discussion? Bottom line … where is the fiscal responsibility, accountability and transparency to the public? TE School Board Changes Direction — Is Andy Chambers ‘In or Out’ as District Safety Consultant? The Board will consider a contract with Andy Chambers as District Safety Consultant. If you recall, the Board added Andy Chambers as District Safety Consultant to the consent agenda at the January 7 School Board Meeting. Neither Chambers nor any mention of District safety enhancements appeared on the January 7 agenda. The agenda did not notify the public that the School Board would discuss anything safety-related at the January 7 meeting, let alone the hiring of a ‘security consultant’. For most of us, we learned that the District had hired Chambers as District Safety Consultant at the January 9 public safety meeting. The announcement of Chambers hiring also appeared in the District’s ‘Action Line’ newsletter, summarizing the safety meeting. Following the news of Chambers hiring, there was much public discussion, including on Community Matters. I questioned Superintendent Dan Waters and TESD President Kevin Buraks at the subsequent Finance Committee meeting and reported their responses on Community Matters. Undoubtedly, the Board heard from many community members,including John Petersen in regards to this situation. I was cc’d on a number of emails between Petersen and the School Board, Superintendent Waters and TESD solicitor Ken Roos. Petersen’s comments were strong and direct — claiming that the Board’s use of the consent agenda at the January 7 meeting, for the hiring of Andy Chambers, was in violation of the PA Sunshine Act. The tagline for Community Matters states, “Your Voice Matters … Join the Conversation” and clearly in this case, voices do matter and the Board listened. I was 100% convinced that the actions taken by Superintendent Dan Waters and the T/E School Board were not proper under the Sunshine Act. The District’s decision to now consider the matter in an open meeting is absolute proof that my assertions were correct and valid in spite of the solicitor’s comments to the contrary. Whether or not at the 1/28 meeting former TTPD Superintendent Andy Chambers’ appointment as District Safety Consultant is ratified, the public will have a fair and appropriate opportunity to be heard. The goal of my efforts was to serve that end and only that end. Superintendent Dan Waters and the T/E Board disenfranchised the very public they are supposed to serve. Further, they exercised poor judgment. Regardless of what happens on 1/28, it is my opinion that the Tredyffrin/Easttown School District would fare better under new leadership. The Pennsylvania Sunshine Act defines when government bodies must conduct official business in public and private, when they should allow public comment, and how and when to advertise meetings. We know now that the Pennsylvania Commonwealth Court has ruled that the “personnel exception” of the Sunshine Act does not apply when a government body meets to discuss an independent contractor or consultant. In researching the PA Sunshine Act and how various school boards have handled possible violations, I came across an article in the Town & Country newspaper from September 2011, that is both interesting and apropos to the discussion. Not understanding why there should be a difference between the process to hire a consultant the Upper Perkiomen School District and TESD, I sent an email with the Upper Perkiomen School District article to Roos, who coincidentally is also solicitor to both school districts, asking for clarification. Although Roos did not respond to my inquiry, I would suggest that based on the Upper Perkiomen School District article, it appears that Roos would agree that consultant ‘talks’ should not occur in private. As John Petersen suggested in his comment, regardless of the Board’s ultimate decision on whether to hire Andy Chambers as the District Safety Consultant, “ … the public will have a fair and appropriate opportunity to be heard”. I could not agree more; although given the background of Chambers’ departure from Tredyffrin Township Police Department; I am not sure why the Board would want to invite the controversy that comes with his hiring as the District Safety Consultant. The TESD School Board meeting is Monday, January 28 is at 7:30 PM at 940 West Valley, Suite 1700, Wayne 19087. I encourage all interested citizens to attend and offer your opinion. What do the sidewalks at St. Davids and Former Police Chief Andy Chambers have in common? What do the St. Davids sidewalks and former Police Chief Andy Chambers have in common? There is an eerie similarity between a vote of the Tredyffrin Township Board of Supervisors on January 25, 2010 and a recent T/E School Board vote of January 7. January 25, 2010 BOS Meeting: Even though there was a signed land development agreement between Tredyffrin Township and St. Davids Golf Club requiring sidewalks, the Tredyffrin’s supervisors approved the return of $25K escrow money to the country club; removing the sidewalk agreement. Besides suggested Home Rule Charter violations surrounding the return of the escrow money, there was the procedural problem that the proposal had not appeared on the BOS meeting’agenda. Against the objections of many residents and some of the supervisors, the motion carried 4-3. For the record, Bob Lamina, Paul Olson, Warren Kampf and EJ Richter voted in favor of the motion and Michelle Kichline, Phil Donohue and John DiBuonaventuro voted against the motion. After much media publicity, many letters to the editor, accusations of Home Rule Charter and Sunshine Act violations, claims of deal-making and general resident outrage, the supervisors reversed and rescinded their decision at the following Board of Supervisors meeting in March 2010. Public comment is guaranteed by the Sunshine Act and the public’s rights were violated by the St. Davids sidewalk vote of January 25, 2010. Fast forward to January 7, 2013: Instead of the township failing to notify the public of an intended motion on its meeting agenda, it was the T/E School Board who failed to notify the public. On January 7, the Board held a special meeting for the primary purpose to consider the 2013-14 preliminary budget proposal. At the meeting, the School Board voted to apply for Act 1 exceptions beyond the 1.7% allowable tax cap. A consent agenda listed on the January 7 meeting agenda included the approval of December 3 meeting minutes, monthly financial reports, routine personnel actions, etc. but made no mention of anything safety-related such as enhancements or the hiring of a District safety consultant. However, as we later learned, the hiring of former police chief Andy Chambers as the District Security Consultant (hourly rate – $125) was approved … as it was ‘last-minute’ included along with the other items in the consent agenda. The agenda did not notify the public that the School Board would discuss anything safety-related at the special meeting, let alone the hiring of a ‘security consultant’. Someone needs to explain to me how the actions of the School Board on January 7 are any different from the actions of the Board of Supervisors of January 25, 2010. Both of these examples speak to the process of our government. The fact is that the Board of Supervisors vote of two years ago was not about sidewalks in the same way that the School Board’s vote of January 7 is not about the hiring of Andy Chambers as the District’s security consultant. Rather, it is about transparency and open meetings; the basis for positive discussions between citizens and their elected officials. Government decisions should not be made in secret. Discussions of matters involving employment or performance of officers or employees of the agency, provided that any affected individual is given the opportunity to request, in writing, that the meeting be held in public. Meetings involving collective bargaining, labor relations, and arbitration. To consider the purchase or lease of real property. matters falling under the attorney-client privilege regarding litigation or issues where an identifiable complaint is expected to be filed. The Pennsylvania Sunshine Act requires all public agencies to take all official actions and conduct all deliberations leading up to official actions at public meetings. If the board met in executive session and deliberated on hiring Mr. Chambers, then they probably violated the Sunshine Act even though the official vote was taken in open session. It doesn’t matter if it is a contract or not. We’re conjecturing that the board deliberated (illegally) in executive session and based on that deliberation, took an official action to disburse funds to Mr. Chambers. We, of course, can only conjecture since the meeting was closed to the public. Question … At the upcoming January 28 School Board meeting, will the Board take responsibility for their January 7 action and reverse their decision to hire Andy Chambers as the District Security Consultant? If the Board understands the Sunshine Act, and supports the importance of open meetings, the choice they make on January 28 will be simple. The Board accepts responsibility for the situation and takes the necessary steps to correct the situation; reversing the decision and then appropriately advertising the matter for public discussion. As follow-up to last week’s announcement by TESD Superintendent Dan Waters to hire former police chief Andy Chambers as a security consultant, I attended the District’s Finance Committee last night. The meeting started with Waters making a statement addressing the criticism of Chamber’s hiring. A couple of things I learned from his remarks — Waters stated that he had no knowledge of the issues surrounding Chamber’s departure from Tredyffrin Township police department a year ago. Waters also wanted to set the record straight that he did not ‘hire’ Chambers. He made the recommendation to the School Board; the decision required their approval. I found it incredulous that Waters could claim to have this close association with Chambers yet know nothing of the controversy surrounding the former police chief. Tredyffrin’s supervisors suspended Chambers for allowing his son to drive a police vehicle that was involved in an accident and his failure to report the incident. An anonymous tip notified the members of the Board of Supervisors. Although Chambers was allowed to retire, he left the township under a dark cloud of controversy. Although I spoke of concern for the hiring of Chambers (given the circumstances), Buraks claimed that the police chief’s suspension has nothing to do with the safety of the kids and therefore has no bearing on his serving as a safety consultant for the District. Buraks said that the decision to hire Chambers was based on the recommendation from Waters and was a unanimous decision. I found Buraks complete disregard of former police chief Chamber’s actions (which caused his departure from the police department) incredulous. I asked if Police Supt Andy Giaimo was aware of the District’s decision to hire Chambers before announcing to the public and the answer was yes. According to Waters, Chambers was hired at $125/hr. under contracted services and therefore there was no contract or RFP (request for proposal) apparently required. There was no further discussion of Chambers’ qualifications, other than restating that … he knows our community and the schools. I believe that the public has the right to participate in issues and be privy to what elected officials are doing by seeing discussions and debates in the open with all the facts clearly stated. In the case of hiring former police chief Andy Chambers as a safety consultant for TESD, that opportunity did not exist. I understand the need to act quickly in the aftermath of the Sandy Hook tragedy, but I believe it is also vital to the community, that all options be adequately vetted and to have a voice in decisions. The school board directors, like the members of the Board of Supervisors, are in their elected positions to be the voices of the people. Following the Andy Chambers discussion, the Finance Committee moved to their regularly scheduled agenda and discussion of the 2013-14 budget. It is interesting that the discussion of outsourcing the custodial staff was minimal. In the last couple of years, the TENIG union was often seen as the target for revenue savings but there was no date set for initiating a RFP for these services. Reading between the lines, I think the TENIG staff and the aides and paraeducators who were on the chopping block for possible outsourcing may be safe for another year. A new expense item in the budget is the District’s security enhancements – the costs of the protective 3M film for the school buildings is not yet known but the District has allocated $250K in the budget for upgrading the security. Some of the enhancements are already underway, including additional cameras and a buzzer system. The 2013-14 projection model summary with Act 1 index revenue indicates projected revenue of $110,769,734 and projected expenditures of $113,567,247, which gives a projected budget deficit of ($2,797,513). Applying the Act 1 tax increase of 1.7%, $1,500,000 and the revised deficit is ($1,297,513). The District has applied for Act 1 exceptions but there was not a recommendation at last night’s meeting whether or not they will be used. The court date for Vanguard’s property reassessment appeals is April and, depending on the results, may have a significant impact on the District’s revenue numbers. Another potential yearly source of revenue for the District is from tax-exempt properties that may no longer be tax exempt. Chester County is reviewing and identifying TESD tax-exempt properties – once the District receives the report, these properties will be sent a letter and questionnaire to confirm tax-exempt property use. If a property’s use is no longer tax exempt, there is potential for revenue for the District. A Life Lesson that Good Guys Can Still Make Mistakes . . .
An article appeared in the December 14 edition of the Daily Local, ‘Chief suspended after son crashes police car’ . According to the article, Tredyffrin’s Chief of Police Andy Chambers was suspended for 4 days as a result of allowing his 16-yr old son to drive a township police car and was subsequently involved in an accident with the vehicle on November 23. First off, let me say that I like and respect Andy Chambers – he’s one of the ‘good guys’ — someone who supports the residents of Tredyffrin Township and cares about this community. Was this simply one of those dumb lapses of judgement that as parents we sometimes have? You know one of those times when something seemed like a good idea at the time but in hindsight, we realize it wasn’t too smart. The story as reported in the paper explains that an Emergency Vehicle Operator Course (EVOC) training was held in Bridgeport,and Chamber’s son (with a learner’s permit) was allowed to drive a Tredyffrin Township police cruiser on the training course. In driving the car on the course, the kid somehow had an accident with the police car which caused enough damage that the car had to be towed. The accident also slightly injured a trainer who was in the car with Chamber’s son. There is an upcoming supervisors meeting on Monday, December 19. Will the supervisors inform the township residents of the situation and of Chamber’s 4-day suspension? It’s important that the facts surrounding the matter are fully understood. Otherwise, the rumor mill will churn out its own version of the story unless the supervisors present the timeline of events and the facts. Although Chambers paid for the towing and repairs to the township vehicle, there remain questions surrounding the incident. Assuming that the Daily Local is correct, it is unclear when the Tredyffrin Board of Supervisors were notified of the incident as no police report was made at the time of the accident. Did the supervisors only learn of the accident from the Daily Local reporting? Having read the article in the Daily Local, John Petersen wrote the following email to Tredyffrin’s Board of Supervisors and copied myself as well as the writer of the Daily Local article Jennifer Carboni and Susan Greenspon, editor of the Main Line Media News. Assuming that the information is correct in the newspaper account, John makes some very interesting legal and liability points concerning this incident. John also states that he likes Chief Chambers and like me, considers him one of the ‘good guys’. I am disappointed in Andy Chamber’s actions but at the same time I feel sorry for him — we’ve all had those momentary lapses of judgment. This incident just proves that even the good guys can make mistakes. Based on Donahue’s interesting word choice that Andy “admitted” what happened, that would lead one to conclude that he [Andy] was confronted with the information. The lack of a police report supports that conclusion. If that is the case, then that is a fireable offense. As the old saying goes, it’s never the underlying issue, it’s the cover up that gets you. Let’s remember, this was township property. Who in the world would permit a non-township employee, let alone a 16-year-old pre-licensed driver to drive a police cruiser – regardless of whether it was on a closed course. As Howard Baker in 1973 during the Watergate Hearings asked [slightly paraphrased] “What did they know…and when did they know it?” That is the question – when did Andy tell you guys on the BOS? Again, if he didn’t tell you until the DL made you guys [as a board] aware, then that is most definitely a fireable offense. On the other hand, if the board knew back on 11/23-24, then why wait so long to suspend him. The other disturbing aspect of this, if true, is that this was driven by un-named members of the TTPD. The timing of the letters is interesting. The first one was the Friday before the BOS meeting of 12/5. Clearly, nothing happened – which prompted another letter on 12/8. It’s all rather peculiar, and admittedly, speculation on my part..
Finally… I like Andy. He’s a good guy. And yes – he as given loyal service to the Tredyffrin Citizens over these many years. I supported his succession to chief in 2008. However, those in leadership have to live to a higher standard – a point I’ve made clear to all of you in the past vis-a-vis St. David’s, fire funding, etc. If this was all duly reported, then I agree with the sanctions as levied. However, the timing and information contained in the aforementioned news article, if accurate, indicates that the events were not duly reported – and that transgression is far worse than the substantive issue. And let’s also remember that Andy allowing his son to operate a township vehicle put the township in harm’s way. The township was opened to liability – and it is far from certain that the terms and conditions set forth in the policy (the township is self insured) would have covered the liability. What if somebody was run over, permanently injured or worse, killed? I fully expect the BOS to brief the public on what happened. This is where it counts to be fully transparent. And – this is why we need a properly functioning press so that matters like this get the spotlight they require. Many thanks to the Daily Local for their reporting. I trust the reporting is accurate. And if so, I trust the BOS to do the right thing. A Word of Warning — Watch Your Wallets! I have been following the local news about an extensive rash of burglaries over the last couple of months in the Bala Cynwyd and Merion areas of Montgomery County. Lower Merion police believe that there are multiple burglary rings working in the area. There have been 25 burglaries in the last 7 weeks. Windows or doors are pried open and the target is cash, jewelry and laptop computers . . . small, easy to disguise items. A couple of suspects have been picked up by the police but others are still at large. Lower Merion police are keeping the residents informed and have provided local maps where the commercial and residential break-ins have occurred. I know that Bala Cynwyd is not exactly next-door to Tredyffrin Township; however Tredyffrin is battling its own recent rash of thefts. At recent Board of Supervisors meetings, Police Chief Andy Chambers has reported incidents involving wallets being removed from ladies purses that were hanging on the back of a chair or on the floor, close to the owner. In some cases, the wallet is taken from the purse, credit cards and cash removed and the wallet returned to the purse. I have heard of purse-snatching incidents in Gateway Shopping Center including Panera Bread and Trader Joes. The following email has been circulating among several of my friends. To protect her identity, I removed the originating writers name but provide the email as a word of caution. You may have heard about the string of robberies at Gateway. I have some insight because they stole from me today — but they only stole my business card case, so I feel like the luckiest woman in Tredyffrin. It is a group of three – one woman strikes up a conversation to distract the victim, the other two (a man and a woman) steal the wallet — right out of your purse. It has happened in virtually every store in Gateway and at Barnes & Noble, according to an officer at the Tredyffrin Police Department. Please tell your friends and if a stranger wants to talk to you, pick up your purse first! Even though I knew about the robberies, I had my purse in the basket of my shopping cart at Trader Joes. Never again — Be careful! I am one of those people who is guilty of putting my purse in the seat of the shopping cart. I’m also guilty of putting my purse on the back of the chair. This needs to be a wake-up call for all of us . . . a word of warning to watch our wallets.